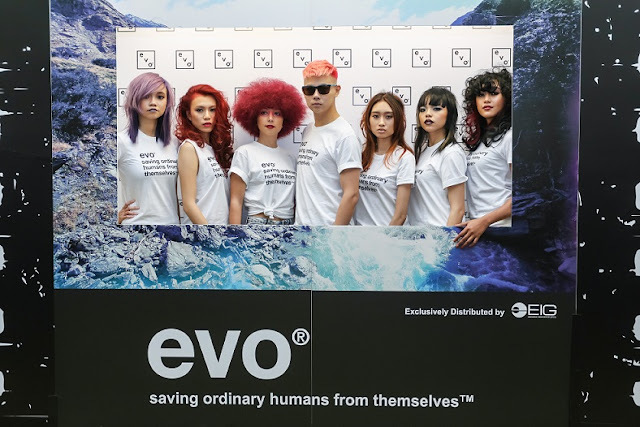 evo® is an innovative, professional hair and beauty product manufacturer with individuality and integrity; a manufacturer that speaks the truth. THE EVO® MISSION IS TO CREATE INNOVATIVE, SALON ONLY PRODUCTS THAT ARE SIMPLE, LUXURIOUS AND EFFECT TO USE; TO TELL THE TRUTH; EXPOSE THE FRAUDS; KEEP THE HAIR AND BEAUTY INDUSTRY HONEST. 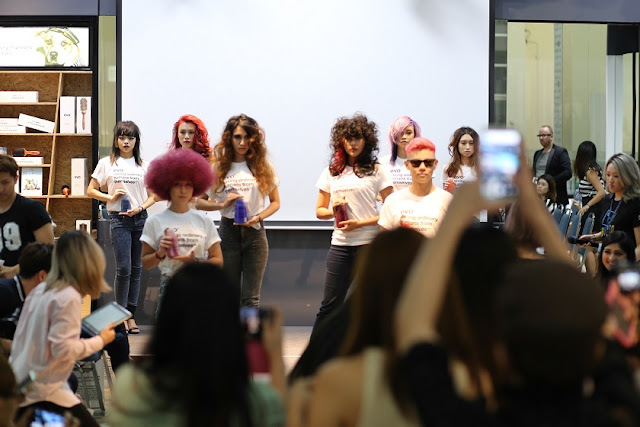 evo® supplies the finest quality hair care products, education and professional service. inside bottles of evo® that are bursting with personality. you won’t find unnecessary, overmarketed ingredients; no imaginary technology, no myths, no gimmicks. 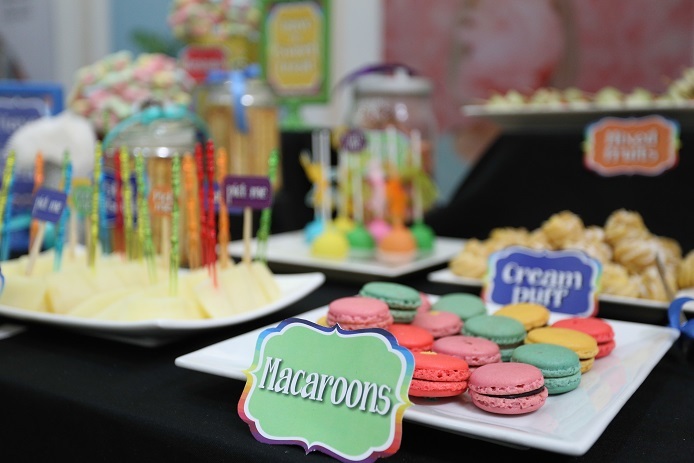 all ingredients in evo® formulations are active; nothing is added only to make claims on the label. 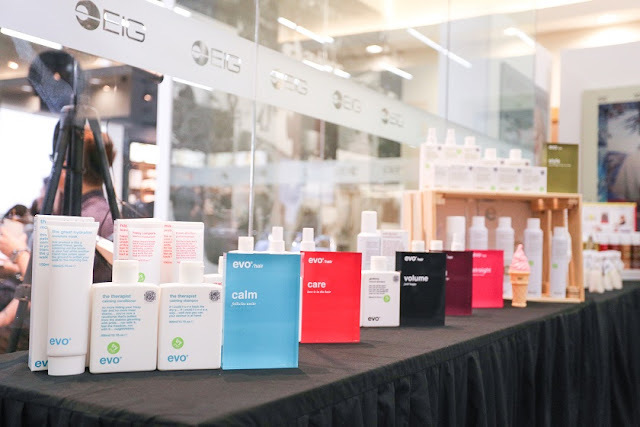 evo® products are luxurious and are sulphate, paraben, dea, tea and propylene glycol free. where possible, evo® uses natural ingredients and will continue to reformulate and substitute synthetics with naturals when an equivalent is available. …to make your day that little bit safer. evo® is not tested on animals. all evo® packaging is 100% recyclable. evo® offsets its carbon foot print by purchasing government accredited carbon offset credits. all damaged evo® stock is given to homeless shelters. it’s a simple idea and a practical thing to do. evo ® is very much a creative range with refreshingly different campaigns and imagery, released annually, bringing creative, edge and cool back to the salon industry. 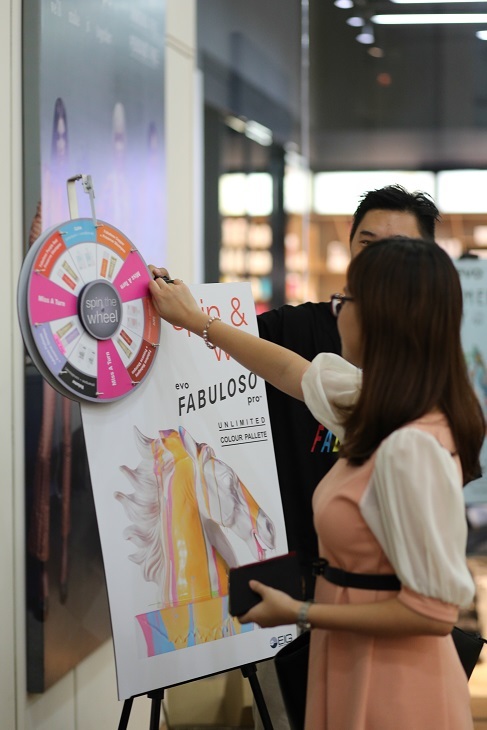 it strongly attracts and speaks to the fashion conscious. 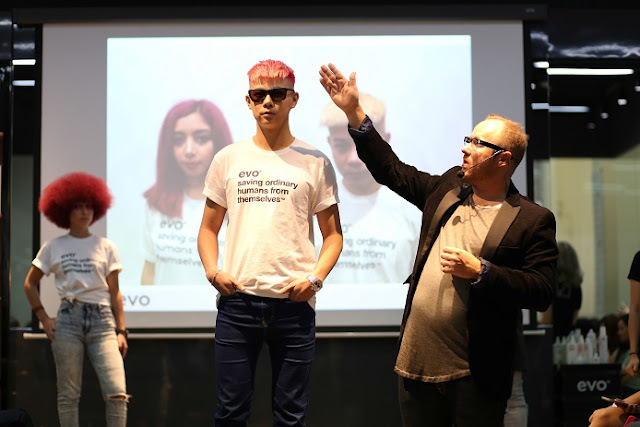 evo ® is a serious professional brand that doesn’t take itself too seriously. evo ®’s array of powerfully fun messages and captivating imagery evokes people’s interest and makes them have a laugh at the same time. evo ® adds a little more pleasure to the day. They give out damaged product to homeless shelters? Does it mean the product itself is ruin or only the packaging? First time heard about this brand. After read information, I should get myself 1 to try it out. 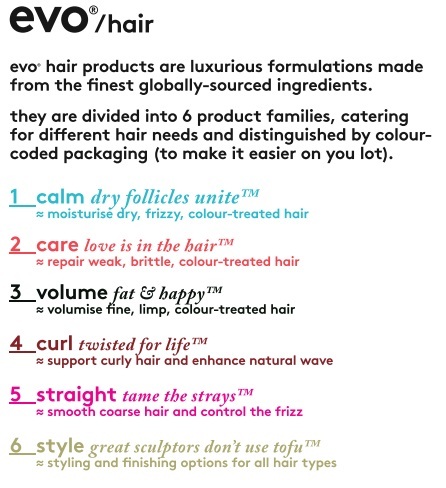 evo® products are luxurious and are sulphate, paraben, dea, tea and propylene glycol free. 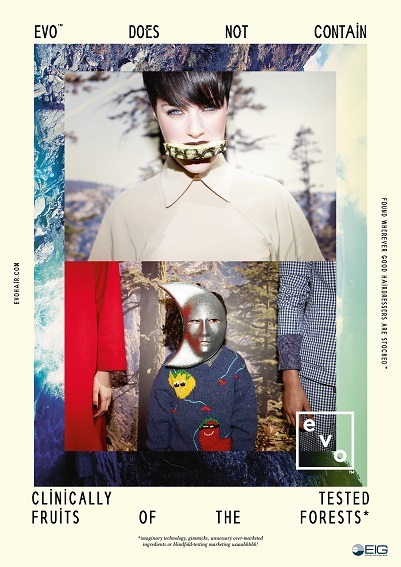 where possible, evo® uses natural ingredients and will continue to reformulate and substitute synthetics with naturals..